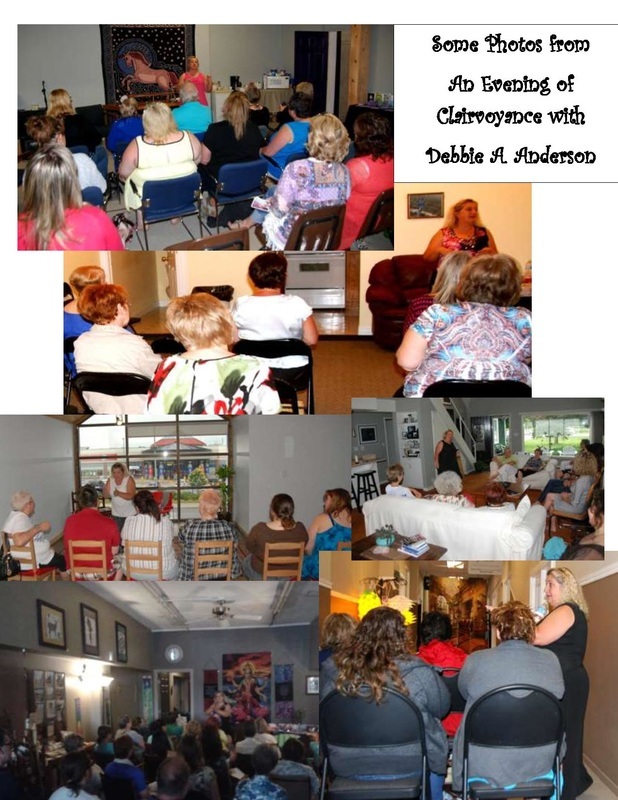 During an Clairvoyance Gathering with Debbie, she shares the journey thus far she has had with spirit, along with her experiences in this realm. After this short introduction she gives a demonstration of Mediumship & Clairvoyance so that people can experience for themselves that life continues between the Spirit & our world, proving that life does go on, not as we know it now, but on a different vibration. There is a lot of laughter and a few tears as she connects loved ones together again. A Clairvoyance Gathering can be held at any time of the day. Most prefer an evening, hence the title "Evenings of Clairvoyance". Debbie works with a minimum of 10 people in this two hour event. Debbie is usually available for a limited amount of one-on-one readings the day following. If you would like to book a customized event or find out when she is in your area, please contact her.